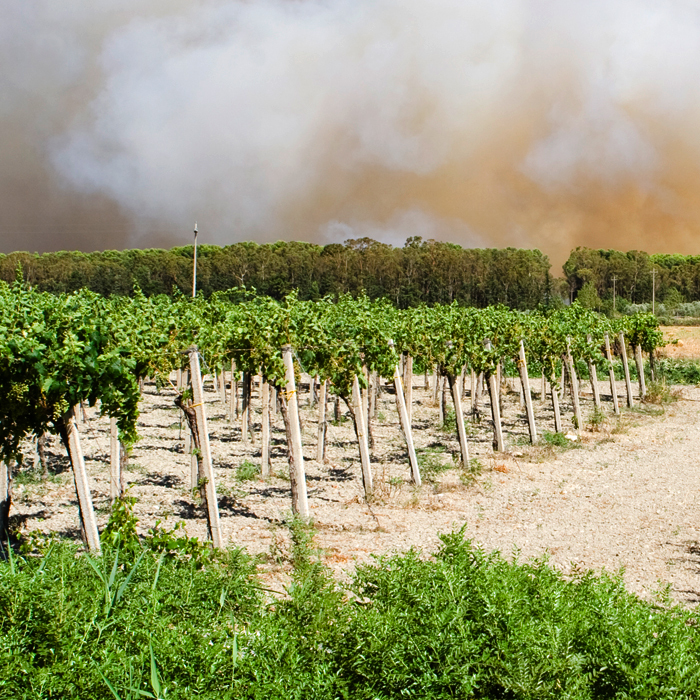 How do smoke and ash from fires affect food crops? Northern California in the U.S. is currently battling the largest fire in the state’s history. As of this writing, the Mendocino Complex Fire has burned an area larger than the city of Los Angeles. Throughout the U.S., fires in 2018 have burned a total area larger than the state of Massachusetts. Around the world, recent wildfires have damaged Greece, Sweden, Portugal, the UK and even the Arctic Circle. Our sympathies to anyone who has ever suffered from a wildfire. California scientists are investigating how toxic ash in air, water and soil can affect food crops. Wine is a particular concern, since wildfires often occur near vineyards. Grape leaves can absorb compounds in smoke such as guaiacol and 4-methylguaiacol, transferring these contaminants to berries and finished wines. Agilent has developed a method for the rapid analysis of smoke taint compounds in wine. The method uses an Agilent DB-HeavyWAX GC Column, which can operate at higher maximum temperatures than any other WAX column on the market. This provides for shorter run times, lower cost per test, and increased stability and column lifetime. Agilent offers a portfolio of analytical solutions for environmental and food markets, including flavors and fragrances. Today’s blog topic was suggested by Agilent Global Marketing Program Manager Farah Mavandadi.